Obtain a piece of history with an 1878-1904 Morgan BU Silver Dollar at the lowest price online today! The Morgan silver dollar of 1878 to 1904 was the first silver dollar minted since the cessation of silver dollars in 1873 as mandated by the Coinage act, which forbade owners of silver bullion to produce legal tender coins. Following the Bland-Allison act of 1878, the United States government assumed the responsibility of purchasing silver bullion and minting it into silver dollars once again. Engraver George T. Morgan was chosen to design this dollar, and his design has left its legacy as one of the most collected coins in United States history. The reverse of the Morgan silver dollar illustrates the left-facing portrait of a Lady Liberty that has been designed in the image of an American woman, rather than the traditional Greek-style portrait. On her head rests a liberty cap made of wheat and cotton, the staples of America’s agricultural success. Encircling lady liberty is the phrase, ‘Of many, one’ in Latin, and thirteen stars, symbolic of the thirteen original colonies of the nation. The obverse displays a bald eagle, one of the national symbols of the United States, in flight, clutching a bundle of arrows in one talon and an olive branch in the other. 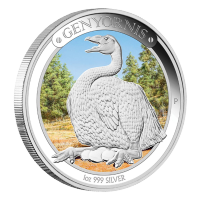 Above the eagle, rests the nations motto, “In God we trust”, while the bird of prey is surrounded by its country of origin and the coins denominational value. Investors and collectors alike can rest assured that all Morgan silver dollars will be received in brilliant and un-circulated condition. 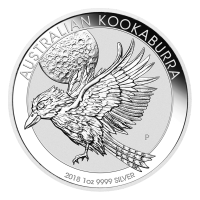 This ensures that the coin will maintain its original lustre and have minimal scuffs and scratches. Obtain this highly liquid piece of American history today! 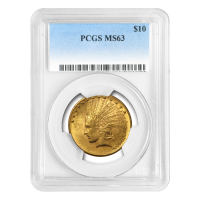 Silberdollar Morgan BU (Stempelglanz) 1878 - 1904 Obtain a piece of history with an 1878-1904 Morgan BU Silver Dollar at the lowest price online today! 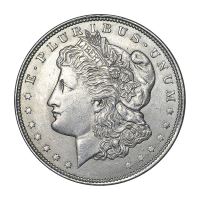 The Morgan silver dollar of 1878 to 1904 was the first silver dollar minted since the cessation of silver dollars in 1873 as mandated by the Coinage act, which forbade owners of silver bullion to produce legal tender coins. 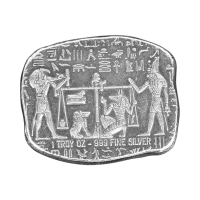 Following the Bland-Allison act of 1878, the United States government assumed the responsibility of purchasing silver bullion and minting it into silver dollars once again. Engraver George T. Morgan was chosen to design this dollar, and his design has left its legacy as one of the most collected coins in United States history. The reverse of the Morgan silver dollar illustrates the left-facing portrait of a Lady Liberty that has been designed in the image of an American woman, rather than the traditional Greek-style portrait. On her head rests a liberty cap made of wheat and cotton, the staples of America’s agricultural success. Encircling lady liberty is the phrase, ‘Of many, one’ in Latin, and thirteen stars, symbolic of the thirteen original colonies of the nation. The obverse displays a bald eagle, one of the national symbols of the United States, in flight, clutching a bundle of arrows in one talon and an olive branch in the other. 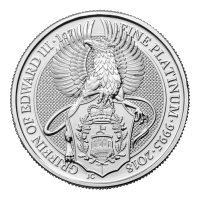 Above the eagle, rests the nations motto, “In God we trust”, while the bird of prey is surrounded by its country of origin and the coins denominational value. Investors and collectors alike can rest assured that all Morgan silver dollars will be received in brilliant and un-circulated condition. 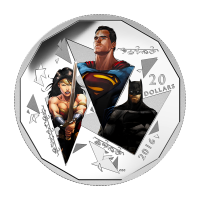 This ensures that the coin will maintain its original lustre and have minimal scuffs and scratches. Obtain this highly liquid piece of American history today!